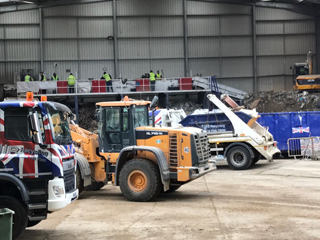 Finding the right grab lorry services in Epsom for your needs – quality care, reliable collection and disposal – as well as the best prices – don’t always come together so often. 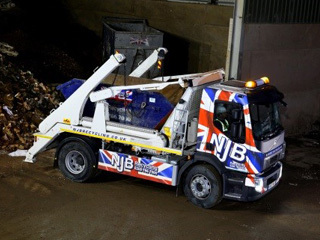 That’s why, here at NJB Recycling, we are always proud to be able to support our domestic and commercial customers with a series of grab hire prices along with company services and guarantees that you won’t find anyone better in our region. We’re always on call for our vehicles to support companies and households throughout London, Surrey, the South East and South West – grab wagon hire with us is not just cheap – we can be with you the same day and – if you’re looking for grab hire near me in Epsom, we’re the local, ‘near me’ firm you can trust. Why not Book a Skip Online with us?” – in less than 2 Minutes and 3 Easy Steps! Grab truck hire from us is affordable, reliable and you can even get hiring us the same day you call – where possible, let us come to you at short notice! 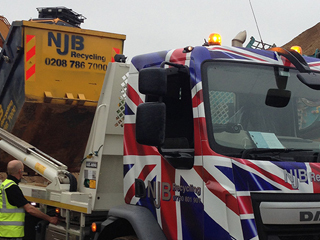 For removal needs, disposals, dump collections, clearances and more besides, we really are the best in the business. If you’re in need of grab hire cost in Epsom that won’t split your budget, come and take a look at our low-cost services – and you may be pleasantly surprised! There’s no horrible surprises when it comes to paying the bill – we are always up front with you on costing. Either book grab online with us or come and chat to our team – let’s break things down for you and get that awkward junk and trash taken away for you sooner rather than later – and for less, rather than more. Come and talk to us first – and get a reliable quote you won’t find beaten elsewhere – we’re here to help your wallet and your collection needs!